Hello, friends! Hope your Sunday is shaping up well. I'm home today after a whirlwind family trip to celebrate my dad's birthday. Much fun, food, and golf was had. Hmm... something else happened... Oh yeah, Brit in the FBI #6 is in the hands of the master! Which means I am D.O.N.E. with writing for a while. My mantra for the past 18 months has been -- "I can't, I have to work." Ten hour days, 6-7 days a week, I've had my head down, staring at my screen. Ick. I mean, it's fun, don't get me wrong,. But when your knee-jerk reaction to everything is I can't, I have to work... nope. Time to take a step back. So guess what? My new mantra is -- "yes, let's do it!" Golf. Travel. Reading. Fresh air. Exercise. Friends. I will be refilling my well, one day at a time, until I feel the urge to create again. It's going to be a lovely few months. Let's take a look at the latest and greatest links! Reading a Book Takes Time—Deal With It. "Is our obsession with hurrying up getting in the way of our having fun?" Who Owns Harry Potter? What J.K. Rowling's Series Can Teach Us About Copyright Law. "Culture is better, is more inclusive, is more dynamic (not to mention enjoyable) when the arts are thriving. Copyright law, says Bressler, incentivizes creativity." Inside J.R.R. Tolkien’s Notebooks, a Glimpse of the Master Philologist at Work. Fascinating! I think every writer eventually wants to create their own language. Fictional Glimpses of the Past: From the Tudors to the Czars. So many congrats to Ariel Lawhon on this excellent NYT review of I WAS ANASTASIA! Emotions run high as Aunt Agatha's in Ann Arbor prepares to say goodbye. A heartbreaking loss to our community. From Star Trek to Fifty Shades: how fanfiction went mainstream. "What separates these works from the Harry Potter fanfiction you find online may come down to snobbery. There is an undercurrent of misogyny in mainstream criticism of fanfiction, which is widely accepted to be dominated by women; one census of 10,500 AO3 users found that 80% of the users identified as female, with more users identified as genderqueer (6%) than male (4%). Novik has spent a good deal of time fighting against fanfiction’s stigma because she feels it is “an attack on women’s writing, specifically an attack on young women’s writing and the kind of stories that young women like to tell”." The Writer's Life: Louise Candlish: Domestic Suspense from Across the Pond. Great interview. Such an interesting premise! My publisher is repackaging all the Samantha Owens novels and the new covers are dynamic and story-appropriate. I can't wait until we have all of them out for you. This past week we revealed Samantha Owens #2, EDGE OF BLACK! If you're curious about the origins of this story, check out this post. What an awesome giveaway! 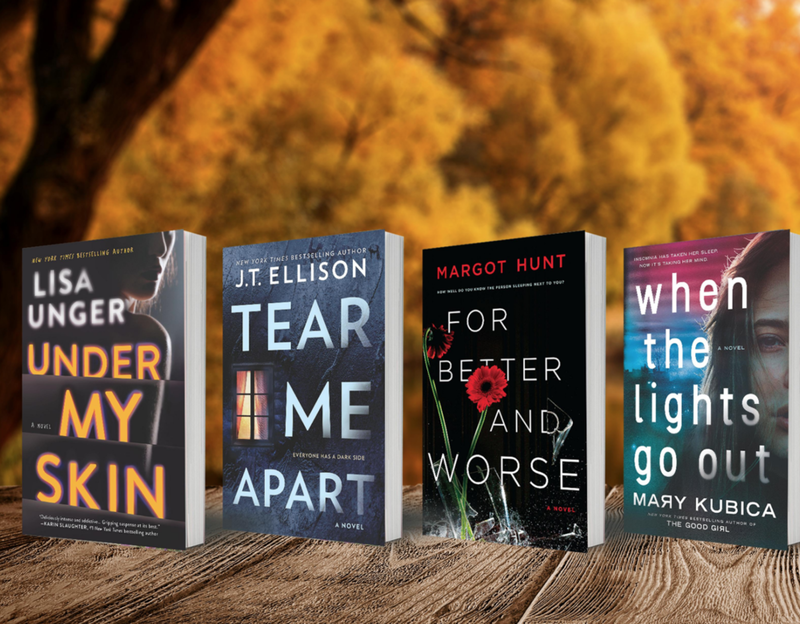 Win all four of these upcoming fall thrillers: WHEN THE LIGHTS GO OUT by Mary Kubica, FOR BETTER AND WORSE by Margot Hunt, UNDER MY SKIN by Lisa Unger, and TEAR ME APART! Don't forget! 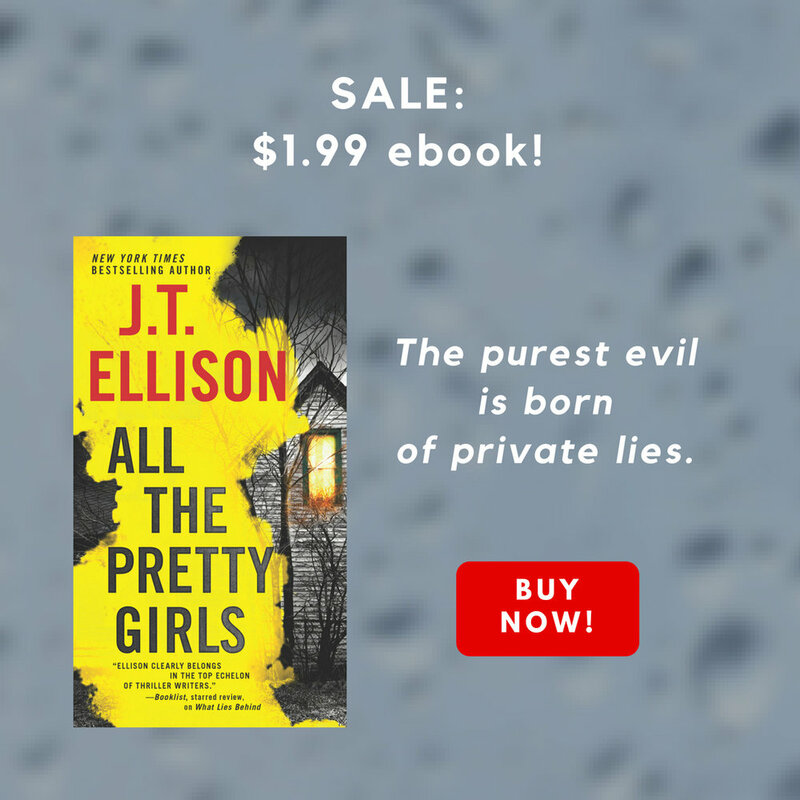 ALL THE PRETTY GIRLS, the first book in my Taylor Jackson series, is on sale for $1.99! Lots of fun stuff coming up, including the finalized tour dates for TEAR ME APART. I hope to see some of you on the road! That's all for now! Take a walk, hug your bestie, give your kitties a scratch, and I'll see you next week!